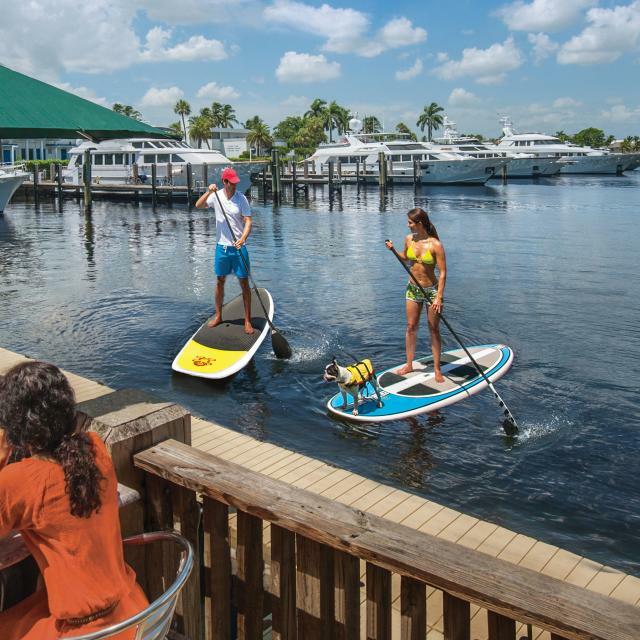 Fun for all ages, Greater Fort Lauderdale is a family-friendly experience full of natural wonders, seasonal getaways, shopping excursions and experiences sure to delight the five senses - and then some. From singles and families to affluent couples, to a rainbow experience and a destination that caters to a multicultural audience, Greater Fort Lauderdale offers more to do than most destinations in southern Florida. Greater Fort Lauderdale offers a variety of other nature experiences. Butterfly World features the largest indoor butterfly aviary in North America. Flamingo Gardens & Wray Botanical Collection offers 60 acres of diverse native plants and trees, a Bird of Prey Center with a free-flight aviary, and the chance to view alligators, flamingos, bobcats and Florida panthers. Anne Kolb Nature Center in Hollywood offers kayaking and canoeing through narrow canals where mangrove trees create a tangled canopy. Funky Fish Ocean Camp is a "liquid playground" open to children of all ages. It&apos;s available by the day or week. Greater Fort Lauderdale also has more than two dozen museums, the Museum of Discovery & Science with new Eco-Discovery Center and IMAX 3D Theater, the Funderdome indoor playground, the Riverwalk Arts & Entertainment District, and the Riverwalk Linear Park, and serves as the centerpiece to a $100 million, countywide arts and culture construction program.